TG participated in organization of the International Conference "Data Intensive System Analysis for Geohazard Studies" which was held in the Sochi region in Russia, on 18–21 July 2016 (http://sochi2016.gcras.ru/). The Conference was devoted to observations, detection of and modeling geophysical extremes; development, implementation and maintenance of methods and instruments for monitoring; evolution of natural systems towards extreme conditions; assessment of global- and local-scale hazardous phenomena; challenges in data processing and analysis using pattern recognition, statistical and other methods relevant to large data processing; applications of geo-databases and GIS. In the framework of the Sochi Conference the TG organized the Data Citation Workshop in the, devoted to the modern issues of citation of geoscience data. This workshop is organized in the framework of the started cooperation with CODATA TG "Data Citation Standards and Practices". The TG members developed a software package for calculation of internal magnetic field for 2013.0–2016.0 epochs using core magnetic field model, derived from Swarm satellite data of the highest quality, to be published in the Second Edition of the Atlas. In April 2016 the “Saint-Petersburg” observatory was officially assigned the status of INTERMAGNET observatory. TG organized the meeting in Paris (ICSU/CODATA premises, May 2015) in the framework of preparation of the Second edition of the Atlas of the Earth's Magnetic Field. It put together leading researches in magnetic data studies and applications from France, Russia, Canada and UK, who represented different types of interested bodies including data science (ICSU), editorial (CGMW), industrial (CNES), fundamental research (IPGP, IPG-Strasbourg, GC RAS) and educational (EDNES) communities. 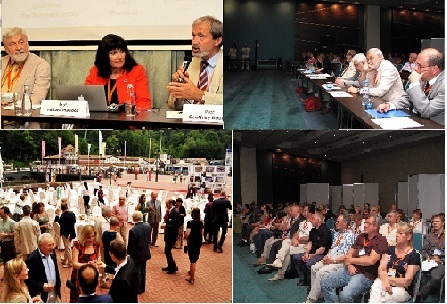 TG working meeting was organized in Prague (Czech Republic) in July 2015 on the occasion of the 26th IUGG General Assembly. A major activity of this Task Group has been around The Atlas of the Earth's Magnetic Field which involves a significant exercise in data collection, integration and poses challenges of interoperability. 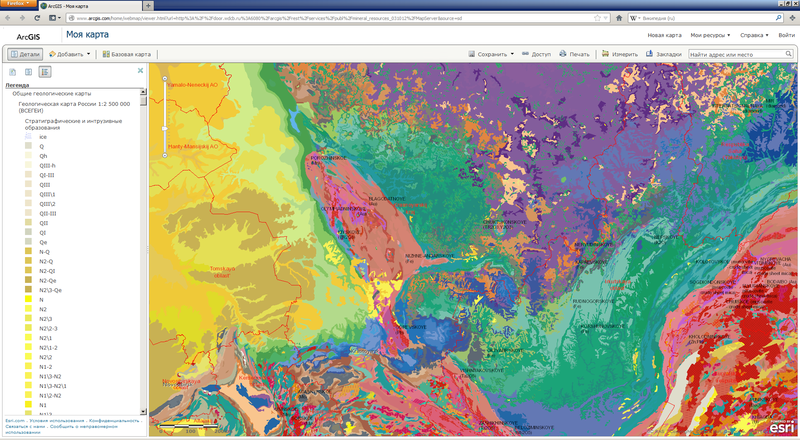 Web-portal of the "Intellectual GIS on Geoscience Data for the Territory of Russia and Neighboring States"